Dominating the west side of Chao Phraya River, you can’t really miss the Millennium Hilton with its giant white façade and bulbous head towering over Bangkok. Inside, you’ll be met with lavish trappings from multiple restaurants and bars to a luxurious pool and spa. 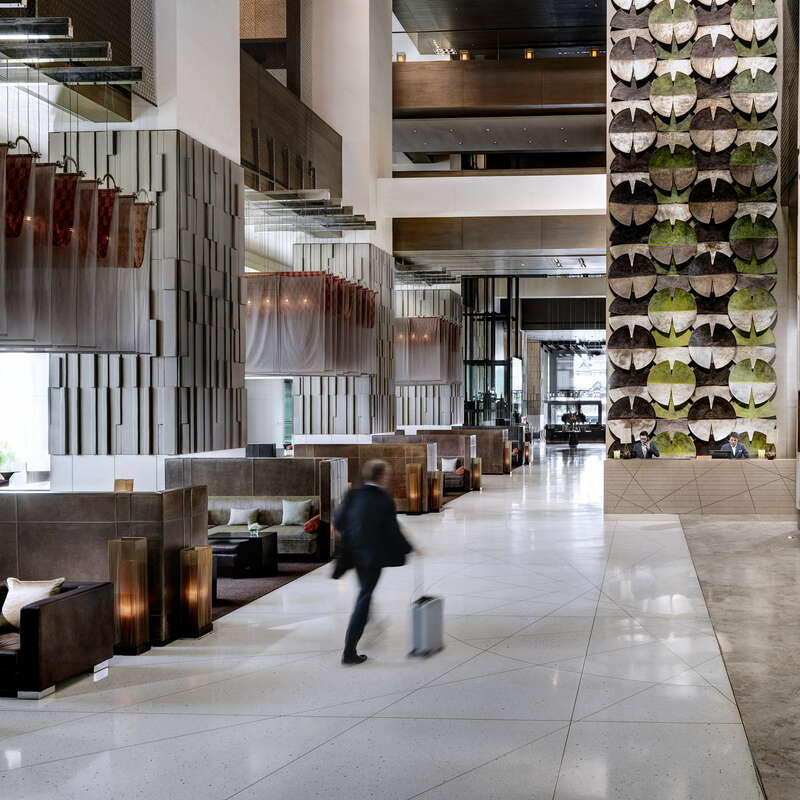 Competing with other five-star spots along the river, the Hilton holds its own and prides itself on first-class service. 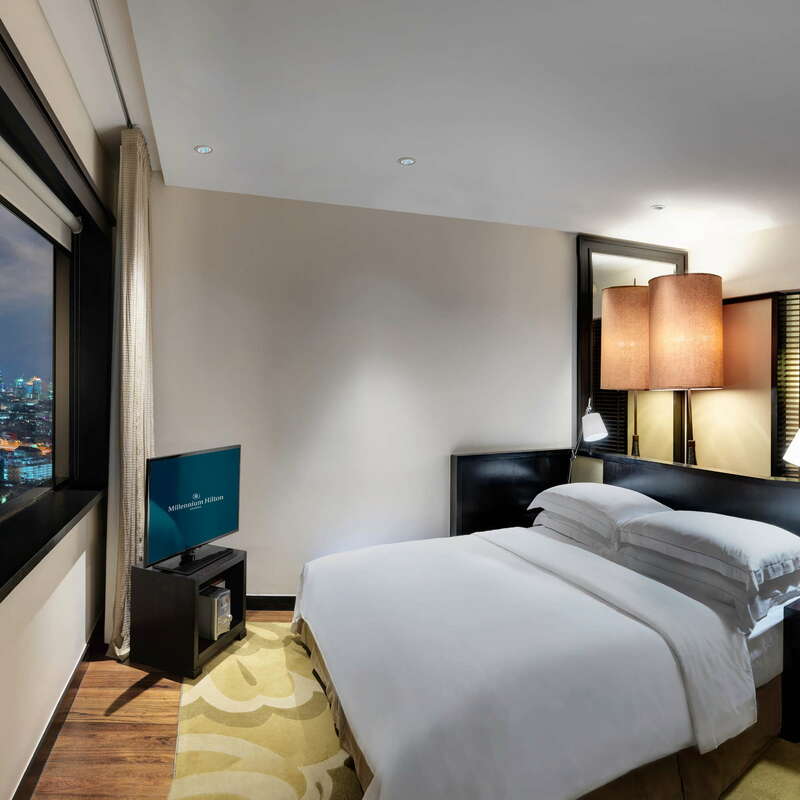 All rooms have stunning views of the river and cityscape to the east. 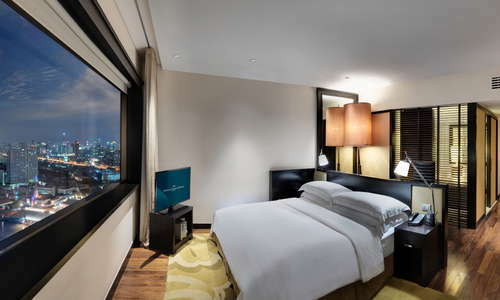 Standard accommodations have plush beds that face large horizontal windows as if looking at a movie screen featuring Bangkok. You can expect bottled water, coffee and tea, and fresh fruit daily. Bathrooms typically come with sunken tubs and separate showers with large mirrors and a window into the bedroom. Peter Thomas Roth bath products are standard and if you have any other needs, the hotel can easily provide toothbrushes, toothpaste, shaving kits, etc. The lobby is really stunning. There are day beds strewn about and a hornet’s nest chandelier that hovers over reception. Tall pillars, modern lines, and giant art installations can be seen throughout. 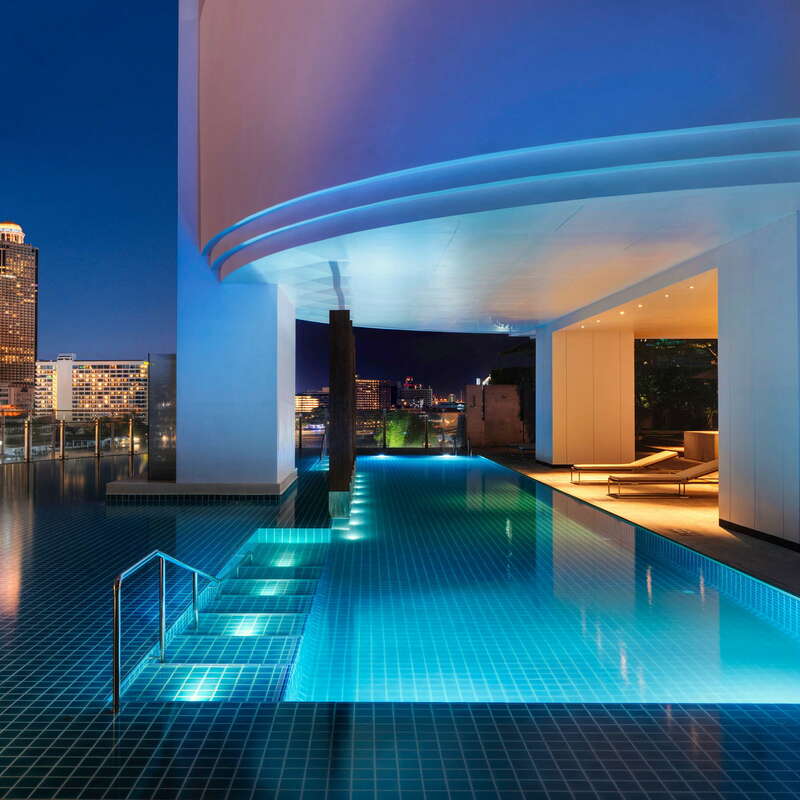 The pool has incredible views of the city and loungers that sit right in the water facing out towards the river and beyond. It’s partially covered by an overhanging roof and you can order from a large food and beverage menu at The Beach--the poolside bar/restaurant. 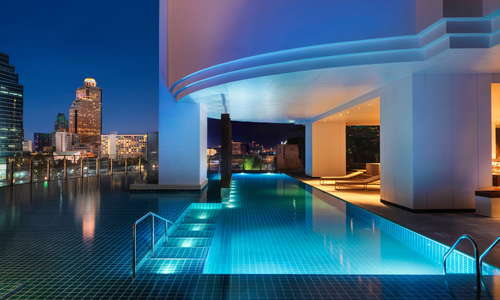 The spa is dubbed eforea and features 12 treatment rooms, an outdoor spa deck, saunas, whirlpools, and Japanese tubs. A fun package to try is from SpaBar. Choose your massage and then choose from a list of cocktails and sip poolside at The Beach. The large fitness center has hardwood floors, Life Fitness machines, and plenty of free weights. There is a daily class schedule with offerings like yoga, step, and Pilates. There are five different restaurants to choose from, including Chinese, a grab and go sandwich spot, and an international buffet. 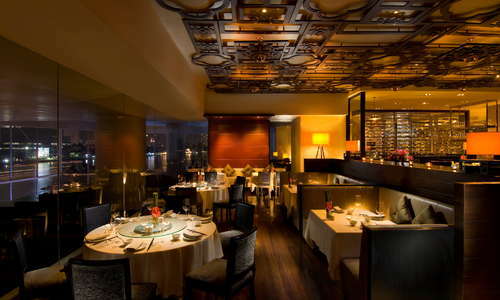 The best restaurant in the hotel is Prime, the sophisticated steakhouse with juicy filets and a great wine selection. 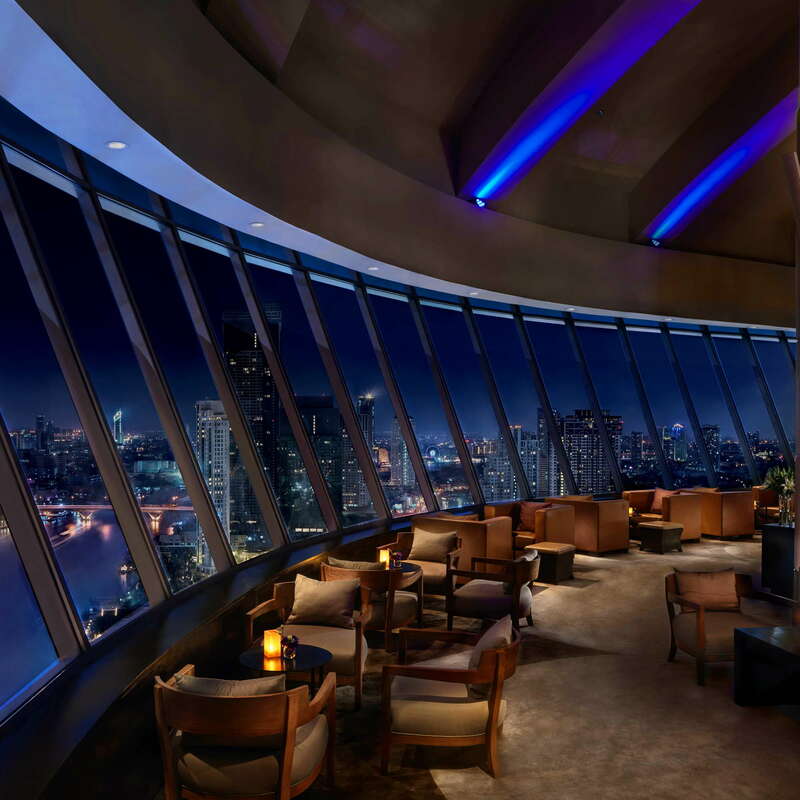 Head up to the 32nd floor where you’ll find yourself at Three Sixty Lounge. 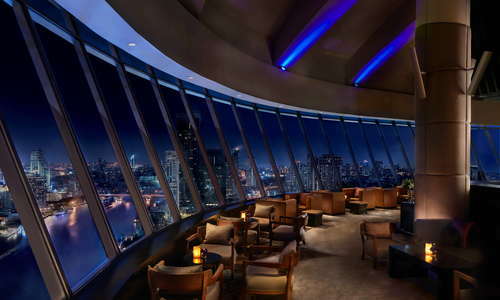 The bulbous head of the hotel is a sleek bar with live jazz and incredible cocktails. 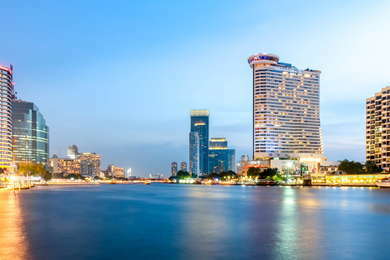 The hotel has its own shuttle boat and can quickly ferry you to the Taksin Pier where you can catch water taxis or the BTS Skytrain, which has a station at the pier as well. Try to avoid taking taxis during business hours as traffic is the worst. 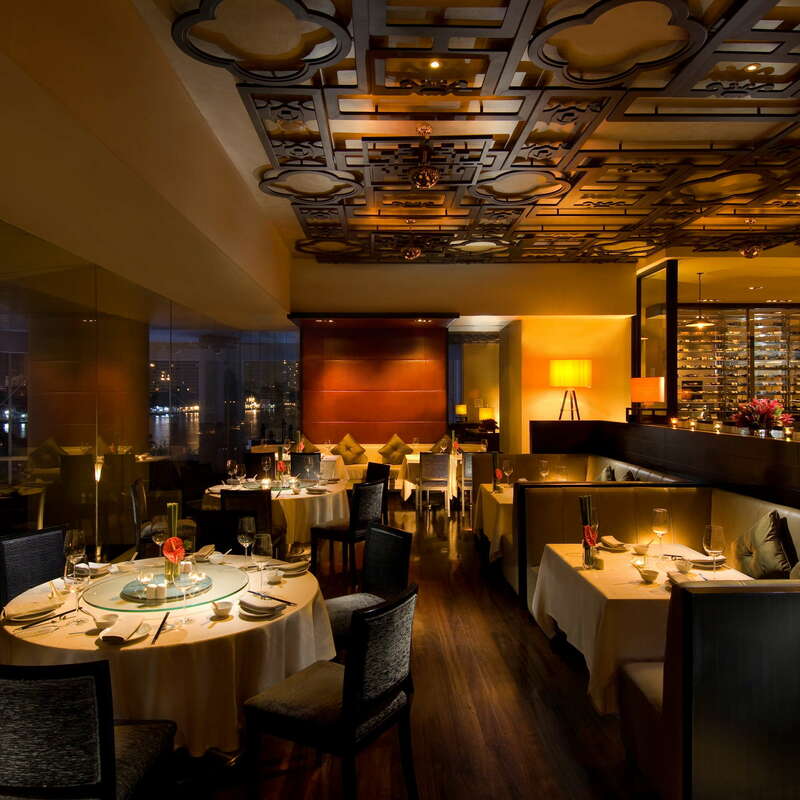 If you don’t want to cross the river, head a little south to the Peninsula Hotel and check out Mei Jiang (10-minute walk), one of the best Cantonese restaurants in the city. 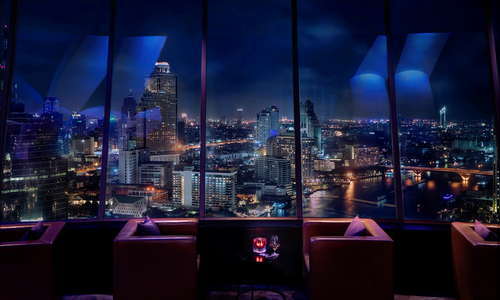 If you do cross the river, head to the Mandarin Oriental and dine at Le Normandie (10-minute boat/walk), arguably the finest French restaurant in Bangkok. 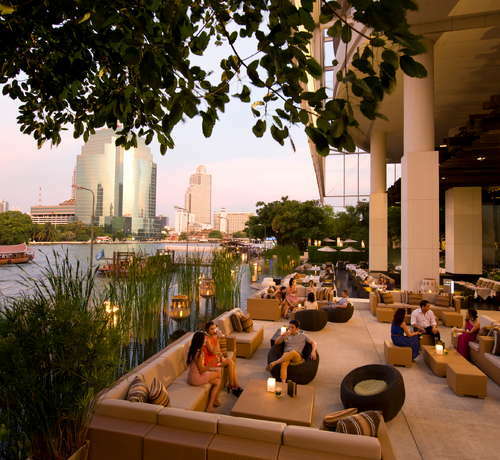 If you eat at the Peninsula, stick around and have a drink on the river at the aptly named River Bar (10-minute walk). You can stay at the Mandarin Oriental for a drink, or walk a bit further and check out Maggie Choo’s (15-minute boat/walk), a 1930s Shanghai-themed bar with great live acts and tall drinks. 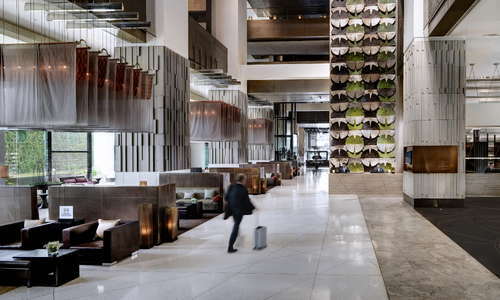 Chic and modern, the Millennium Hilton is a five-star property that towers over the river. It’s close (by boat) to lots of great restaurants, bars, shopping, and some of the biggest attractions in the city. Inside, the hotel is stunning with river-view rooms, a sumptuous spa, and great pool. Dining and drinking options abound, and service is top-rate. If you could complain about anything, it would be about the immediate vicinity with not much to see or do, but then you’re really just complaining to complain. $$ &middot; Central Embassy, 88 Wireless Rd. $$ &middot; 55/555 Langsuan Rd. $$ &middot; 23/2-3 Sukhumvit 13, Sukhumvit Rd. 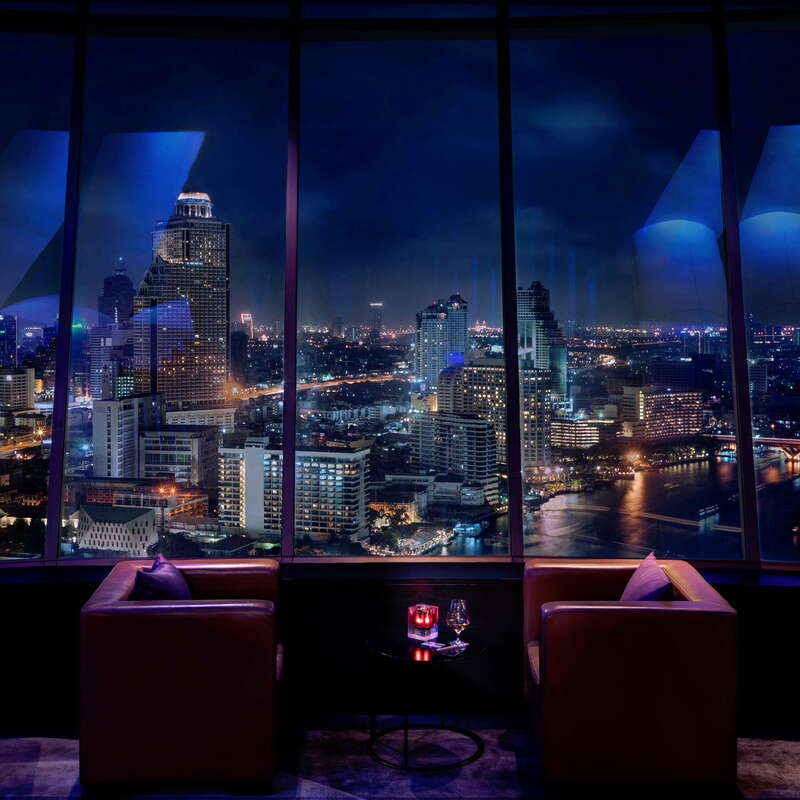 $$ &middot; 257 Charoennakorn Rd. $$$ &middot; Silom and Bang Rak &middot; 946 Rama IV Rd.